Since 1906, when the Aladdin Company began selling standardized house kits, or the “original knock-down houses,” by printed catalogue, the Sears Roebuck Company similarly started retailing 100,000 home models between 1908 and 1940. Lower economic costs for a house often meant that many middle-class Americans could then afford to build their own home. Consequently, numerous architectural studies have focused on European and American perspectives that touch upon the economic inequality associated with suburbanization and the expansion of postwar cities. Gracing the pages of classroom textbooks, housing projects like Cochran Gardens, in St. Louis, later manifested repeated patterns of widening class and racial divisions. Echoing a do-it-yourself ethos, in which interiors and furnishings alike could be chosen by individual clients, a broader contextualized history of modern housing illustrates how prefabricated systems have also become a fundamental design solution for the peripheries of dominant economic markets, including remote locations in Papua New Guinea and the South Pacific. Design considerations such as tropical humidity, cost-efficiency, and accessibility to skilled labor have problematized the erection of prefabricated systems. Today, approaches to prefabrication are generally perceived in a positive manner, emphasizing characteristics of lightweight structure, standardized components, and portability. The purported affordability of prefabricated units and their convenience for offshore settings, however, has all but overshadowed any of the basic qualities needed from housing as a fundamental right. The growing engineered materiality behind prefabricated housing — its use of precast components and standardized parts — was perceived by many 20th-century architects in the American context as being one of the ideal responses to the lack of affordable apartments and homes posed by segregated developments in urban settings, as well as suburbanization. Writ large, this widely accepted notion has now given way to more problematic causes bound up with humanitarian aid. How the built formation of shelter has been negated by institutional demands for incarceration is but one issue of many overlooked aspects concerning of the ongoing struggles to accommodate refugees and asylum seekers. Recently, global architecture has been enveloped by geostrategic and commodity-driven ventures executed by private subcontractors who manage educational, health, and detention services and whose clients include the Australian and American governments, among others. Australia’s political agreements with Papua New Guinea and the Pacific island nation of Nauru, for instance, have generated a greater dependence on third-party financial payments that support the construction and maintenance of offshore detention centers. In other words, prefabricated housing systems have developed into an apparatus of corporate and governmental interests that extend the military industrial complex under which oppressed and economically disadvantaged segments of society are forced to dwell. 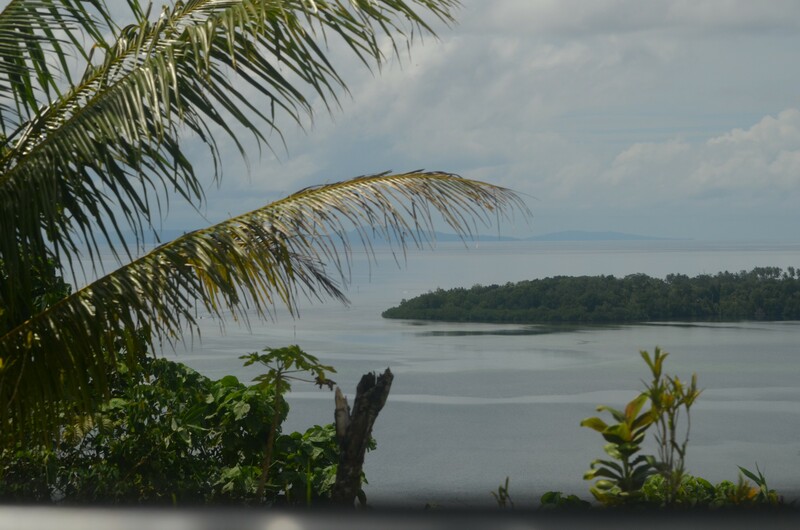 Situated 500 miles from Port Moresby, the capital of Papua New Guinea, Manus Island once served as an operational center for the American and Japanese navies during World War II. Refugee activists have testified that, “while the [Australian] government assumed that its location would keep it ‘far from our gaze,’ it was never totally invisible.” Built from preexisting structures, the separate camps within the detention center are either a combination of World War II–era buildings with concrete walls and corrugated iron roofs, temporary structures such as marquees and demountables, or tin dongas containing tightly packed double bunk beds. 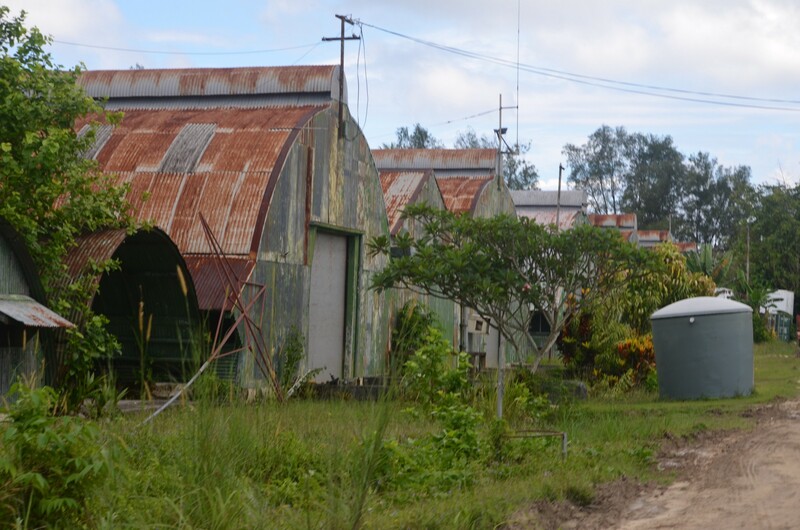 These tin dongas serve as historical predecessors to prefabricated units that remain today and are now employed to house both detention center workers as well as detainees. According to a United Nations High Commissioners Report on Refugees from October 28, 2013, approximately 1,093 persons were kept at the Manus Island Refugee Processing Centre, while the February 2015 figures show a slight decrease to around 1004 individuals. 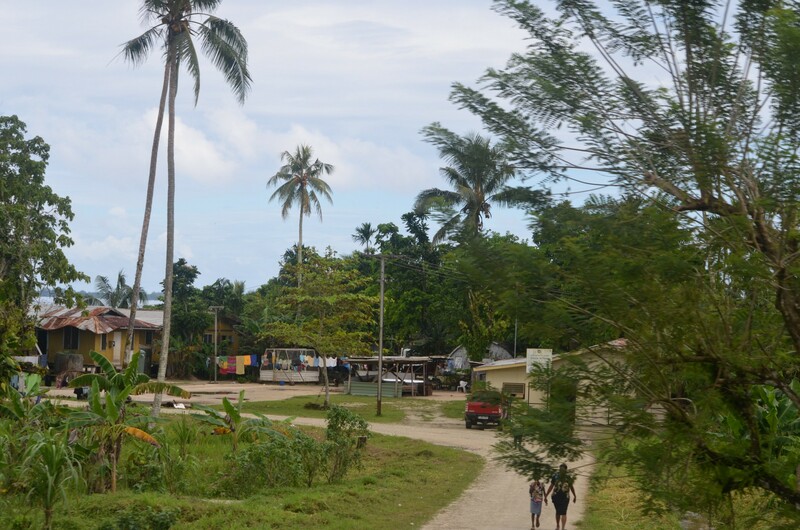 Manus itself only has a population of approximately 43,000 local people concentrated around the principal town of Lorengau. Alongside preexisting cultural hierarchies on the island, ethnic antagonism among the asylum seekers and the PNG locals has been a growing source of anxieties. Almost all of the components of the Manus complex, and those of nearby Lorengau, are assembled from cheap, off-the-shelf building parts purchased by multinational corporations such as Transfield (now rebranded as Broadspectrum). While Transfield/Broadspectrum has never publicly disclosed the financial value of its contract with the Australian government for its detention facilities, it is estimated to be around $760 million dollars from last year alone. Prefabricated structures used by companies like Transfield/Broadspectrum or a similar company such as G4S, whose motto is “Securing Your World,” provide minimal standards of living. Precast building construction is but one of the services offered by multinational corporations like Transfield/Broadspectrum, whose commercial goals include “optimizing performance, integrity and output of our clients’ businesses and assets” and a claim to deliver “safe, efficient, and sustainable services.” But this abrogation of shelter and any accompanying elements of design on Manus testifies to the lack of detailed care given to the planning of detention centers. Housing units depicted in illustrated brochures deceptively propose conventional rituals of daily living that take place in remote areas, yet design attributes are clearly ignored. For instance, “there is almost no shade to protect people from the sun, heat, or rain, particularly in Oscar compound,” as reported by International Health and Medical Services (IHMS) staff who claim that the lack of shade has led to numerous health issues, including people collapsing from heatstroke, “[yet] no action has been taken to provide protection from the sun and rain despite repeated acknowledgement of those shortcomings.” Architectural components at the center, including sanitary and hygienic bathing facilities, are not kept in stable or clean conditions. Floors in the bathroom units remain perpetually moldy and wet, with “a strong smell of sewage around the centre at all times.” Most of the center’s units do not have any air-conditioning to keep the high humidity at bay. Even since 2014, asylum seekers were not allowed to wrap a sheet around their individual beds for privacy. The lack of discretion and the overcrowding under these physical conditions have converted the compounds into sweltering ovens through exposure to the blistering sun and stagnant air, which is exacerbated inside the camp compounds by thick plastic mesh placed between and across fence lines. This is also used to deter journalists from peeking in. Compared with Transfield’s Manus facility, Canstruct’s proposal for an extension to the existing Nauru detention facility at the center of the island clusters together 44 rooms, grouped into three distinct pods. For the $70 million contract, cooking appliances and sinks are not placed into the design of these pods, much less the en-suite toilet facilities that are typically standard for most Australian prisons on the mainland. “Each room will have a single wall-mounted fan,” as their brochure describes, “the windows are grilled, but otherwise open to trap sea breezes. Eaves are designed to keep out the rain.” Yet, conventional technologies belonging to the domestic sphere, including television sets and computers that may provide distraction and entertainment, are notably absent from these living units. Boredom and mounting anger experienced by detainees are rampant among these imposed settlements. The selected 88 detainees who will move into Block 1 will share nine bathrooms among themselves. 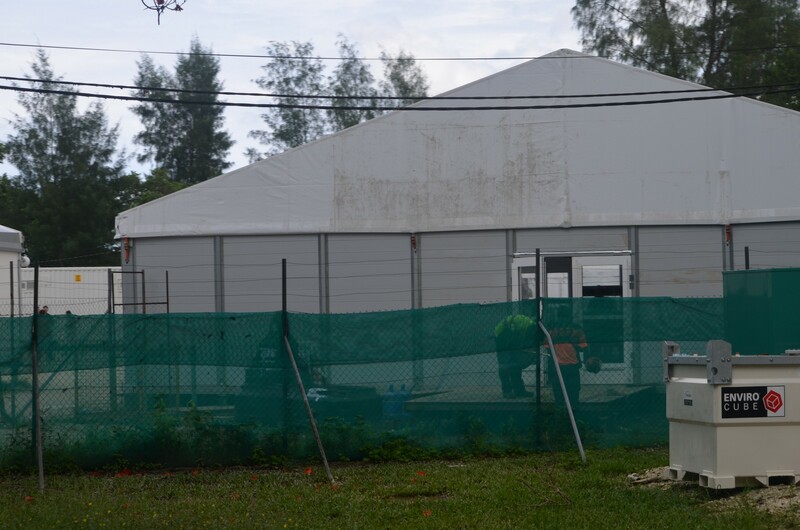 The concrete foundations for the Nauru camp were directly poured on site, while most of the other components, including floor, wall, and roof units, were manufactured at Canstruct’s Force 10 factory in Crestmead, Brisbane, taking almost 14 days to ship to Nauru. Without an established port, Nauru’s Canstruct workers were required to produce their own makeshift rock causeway in order to move materials and heavy equipment to the secure building site. 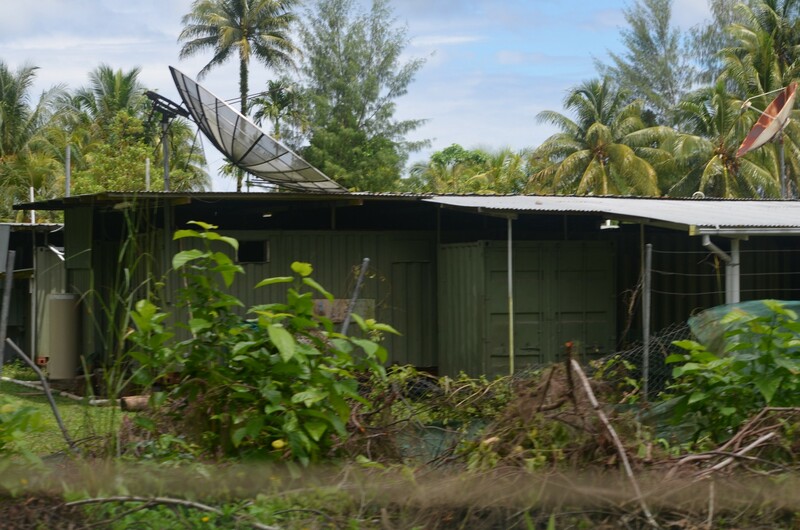 In light of these “geographies of violence,” these obscured sites of detention and obfuscation do not offer any respite from the harsh island environments of Manus and Nauru. Regretfully, asylum seekers, who must live out their days of indefinite detention in and among these prefabricated units, suffer from a lack of comfort that, in contrast, is unabashedly maximized in prefabricated modular units embraced by architects who offer these options to clients seeking “sustainable” modes of living. It is now reported that the Australian government will hand off some of the detainees left on Manus and Nauru to the American government where they may be permanently resettled in the United States. In a bilateral exchange, refugees from Central America may be given asylum in Australia. But along with the continuation of “Operation Sovereign Borders,” implemented by Australian immigration authorities from 2001 until 2007, that lingers today, the failures of the detention center as a punitive mode of incarceration and its evident breakdown as an architectural form invites greater reconsideration of prefabricated systems as a double-edged promise that is no longer an irrefutable arbiter of modernity. On the Aladdin Company, see their annual sales catalogues of ideal homes (1908–1954) digitized by the Clarke Historical Library at Central Michigan University. See also Robert Schweitzer and Michael W.R. Davis, America’s Favorite Homes: Mail Order Catalogues as a Guide to Popular Early 20th Century Houses (Detroit: Wayne State University, 1990). Refer to Dianne Harris, Little White Houses: How the Postwar Home Constructed Race in America (2013); Gail Radford, Modern Housing for America: Policy Struggles in the New Deal Era (1996); Gwendolyn Wright, Building the Dream: A Social History of Housing in America (1981). Parliament of Australia, The Senate, Legal and Constitutional Affairs References Committee, “Report on Incident at the Manus Island Detention Centre from 16 to 18 February 2014,” see Chapter 3, Section 3.9 (2014): 40–44; 40.
 http://www.abc.net.au/news/2014-06-14/manus-island-detention-centre-inquiry-staff-contractors-evidence/5523200. Accessed on 7 August 2016. See Canstruct’s company website on its prefabricated solutions for housing: http://www.canstruct.com.au/alp-asylum-solution-on-nauru-built-to-last/. Simon Springer, The Anarchist Roots of Geography: Towards Spatial Emancipation (Minnesota: University of Minnesota Press, 2016).